○Y. Nakano and F. Keino, " Monitoring System for a Single Aged Person on the Basis of Electricity Use - By Using Smart Meter with B Route -", 2019 IEEE 37th International Conference on Consumer Electronics (IEEE ICCE 2019), 3.15-1, Jan. 11-13, 2019, Las Vegas Convention Center, Las Vegas, USA. ○K. Katori, Y. Nakano, T. Imanishi, T. Nose, K. Hotta, H. Kawarai, F. Ishida, T. Ueno, " Monitoring System for a Single Aged Person on the Basis of Electricity Use – Performance Improvement by Interpolating Watt Hour Granularity -", 2018 IEEE 7th Global Conference on Consumer Electronics (GCCE 2018), PAW.38, Oct. 9-12, 2018, Nara Royal Hotel, Nara, Japan. 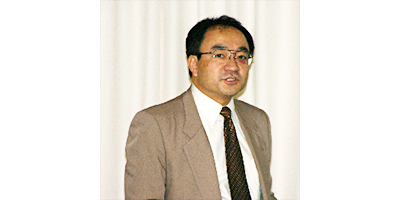 ○中野、「IEEE ICCE 2018 報告」、電気学会雑誌 Vol.138, No.9 付録、 電力・エネルギー部門ニュースレター、2018年9月号、p.3. ○Y. Nakano, T. Nose, K. Hotta, H. Kawarai, and T. Ueno, " Monitoring System for a Single Aged Person on the Basis of Electricity Use - Heatstroke-Prevention System -", 2018 IEEE 36th International Conference on Consumer Electronics (IEEE ICCE 2018), CT10-1, Jan. 12-14, 2018, Las Vegas Convention Center, Las Vegas, USA. ○K. Katori, Y. Nakano, T. Nose, K. Hotta, H. Kawarai, and T. Ueno, " Monitoring System for a Single Aged Person on the Basis of Electricity Use –Prototype by Using Smart Meter -", 2017 IEEE 6th Global Conference on Consumer Electronics (IEEE GCCE 2017), POS (1).18, Oct. 24-27, 2017, WINC AICHI, Nagoya, Japan. 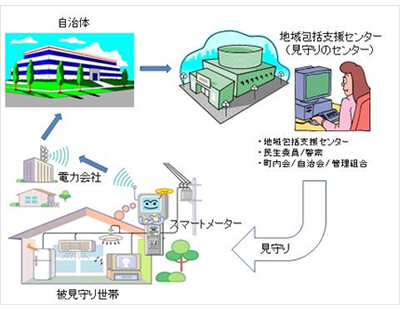 T. Ueno, Y. Nakano, M. Takahashi, “A Support Tool for Ranking Energy-Saving Activities in Office Buildings using Analytic Hierarchy Process”, Journal of Japanese Symposium on The Analytic Hierarchy Process, No.3, pp.11-20, 2012. Y. Nakano and F. Keino, " Monitoring System for a Single Aged Person on the Basis of Electricity Use - By Using Smart Meter with B Route -", 2019 IEEE 37th International Conference on Consumer Electronics (IEEE ICCE 2019), 3.15-1, Jan. 11-13, 2019, Las Vegas Convention Center, Las Vegas, USA. 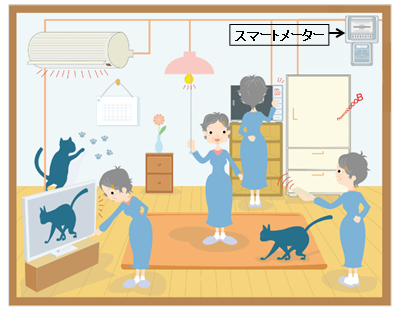 K. Katori, Y. Nakano, T. Imanishi, T. Nose, K. Hotta, H. Kawarai, F. Ishida, T. Ueno, " Monitoring System for a Single Aged Person on the Basis of Electricity Use – Performance Improvement by Interpolating Watt Hour Granularity -", 2018 IEEE 7th Global Conference on Consumer Electronics (GCCE 2018), PAW.38, Oct. 9-12, 2018, Nara Royal Hotel, Nara, Japan. Y. Nakano, T. Nose, K. Hotta, H. Kawarai, T. Ueno, " Monitoring System for a Single Aged Person on the Basis of Electricity Use - Heatstroke-Prevention System -", 2018 IEEE 36th International Conference on Consumer Electronics (IEEE ICCE 2018), CT10-1, Jan. 12-14, 2018, Las Vegas Convention Center, Las Vegas, USA. K. Katori, Y. Nakano, T. Nose, K. Hotta, H. Kawarai, T. Ueno, " Monitoring System for a Single Aged Person on the Basis of Electricity Use - Prototype by Using Smart Meter -", 2017 IEEE 6th Global Conference on Consumer Electronics (GCCE 2017), POS (1).18, Oct. 24-27, 2017, WINC AICHI, Nagoya, Japan. T. Ueno, Y. Nakano, M. Takahashi, “A Support Tool for Ranking Energy-Saving Activities in Office Buildings”, International Energy Program Evaluation Conference 2012 (IEPEC 2012), Rome, Italy, June 12-14, 2012. T. Ueno, Y. Nakano, M. Takahashi, "Development of a Support Tool for Ranking Energy-Saving Activities Considering People's Preferences", 2012 East Asia Electric Technology Research Workshop, Beijing, China, June 6, 2012. T. Ueno, Y. Nakano, M. Takahashi, “A Support Tool for Ranking Energy-Saving Activities in Office Buildings using Analytic Hierarchy Process”, The Third Japanese Symposium on Analytic Hierarchy Process (JSAHP 2012), B-Ⅱ-1, Nagoya, Japan, Apr. 21, 2012. 中野、「IEEE ICCE 2018 報告」、電気学会雑誌、138巻9号 付録、 電力・エネルギー部門ニュースレター、p.3、2018年9月.